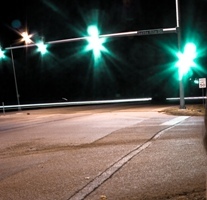 Time and time again, data and accident reports indicate that driving at night poses a higher risk than during the day. Despite this risk, safety advocates have found that many roadways in the U.S. do not have sufficient lighting. With increasing burdens on tax systems, both the federal and state governments are having a difficult time installing and maintaining road and highway lighting. Night traffic is only likely to increase, which is why car manufacturers and safety advocates are making advanced headlight systems a priority. Driving at night increases the risk of low vision, drinking and driving, as well as fatigued drivers. While some accidents are unavoidable others can be prevented with defensive driving. Our Massachusetts car accident attorneys are experienced with representing victims of car accidents. We are also abreast of research and developments involving car collisions and dedicated to reducing the number of accidents, injuries and fatalities throughout the state. Car headlights are critical to driver safety. The “Lighting Research Center” at Rensselaer Polytechnic Institute is assessing various light technologies to improve night safety. New headlight systems are being explored to increase vision and prevent accidents and injuries. According to leading researchers, new improvements in lighting technology can improve vision and safety. The research focuses on “visual performance modeling” looking at how light bends or around road curves. Researchers are using this light analysis in field studies and comparing “adaptive curve” lighting system in comparison with stationary headlights. It is projected that this new “bending” headlight could reduce the number of accidents by 4%. When winding a curve, especially late at night, it may be difficult to see what is ahead or even prevent a vehicle from crossing over the median. Low vision on winding roads can also make it difficult to avoid accidents involving other vehicles, cyclists, pedestrians, or deer. This type of technology will be especially useful when driving on dimly lit and winding roads, for example, in the mountains or rural roads. Other research is boasting the benefits of adaptive or “glare-free” high beams, which have become popular in international vehicles. The idea behind this technology allows driver to use their “brights” while dimming certain portions that could create a glare for oncoming drivers. When used correctly, a driver can use their high-beams without the risk of blinding other drivers with a glare. Research suggests that adaptive high-beam technology has the possibility of reducing night collisions by 7%. Advanced lighting technology may be the future of automobiles. While some new lighting features may be available already, you may start to see additional light features when purchasing a vehicle in the future. New safety features could potentially reduce the number of accidents on the road, ultimately preventing serious injury and wrongful death. While car manufacturers continue to make improvements with safety technology, accidents will still occur. No safety feature is a substitute for driver safety; regardless of the vehicle features, negligence can be deadly. Remember when driving at night to avoid distractions, including texting, eating or talking on a cell phone. The dangers of driver distraction are increased when low visibility reduces reaction time.